what are your missing conversations? is your thinking serving your purpose? 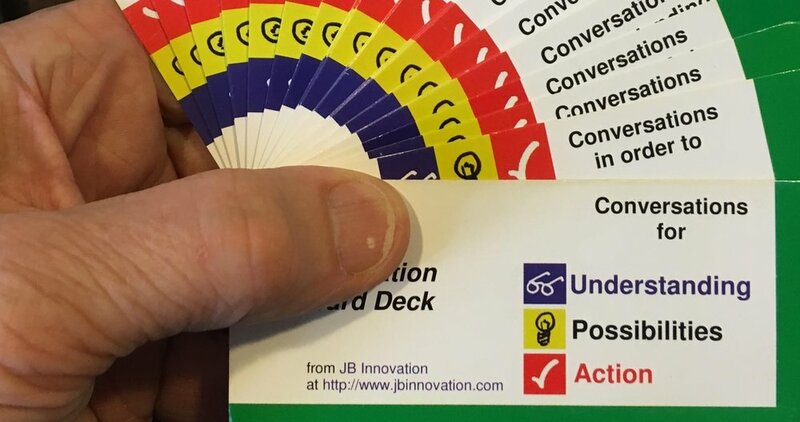 The Innovation Card Deck, Idealized Designs, and Personal Scorecard support individual and group innovation. Results are achieved in a wide variety of business, community, and personal spheres. Words speak for themselves.